You can purchase a dibble Plavi from our retailers. To locate the retailer nearest you, consult our list of distributors by region. For now, we have only retailers in France and Spain. 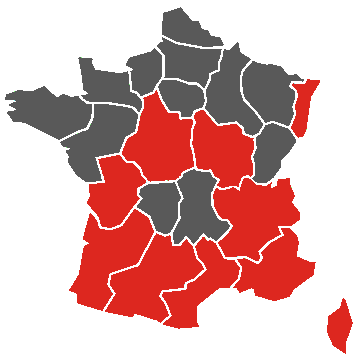 Select a region from the map or from the list below to see the adresses of our French retailers. Spain: You can buy a Plavi dibble in Spain from our partner Viñatall. 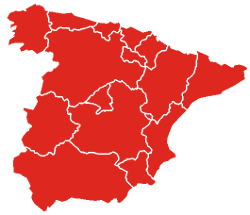 Click on the map below to go to the website of Viñatall. Visit the website of Viñatall, our partner in Spain! e-viti the online shop for winemakers and viticulturists. No retailer close to you? Order your dibble Plavi, you will receive it by mail.